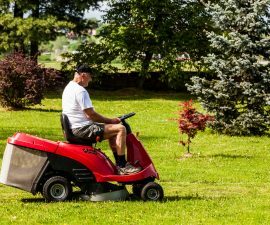 It’s late October, you’ve treated your grass, and now you are wondering how to winterize a lawn mower. 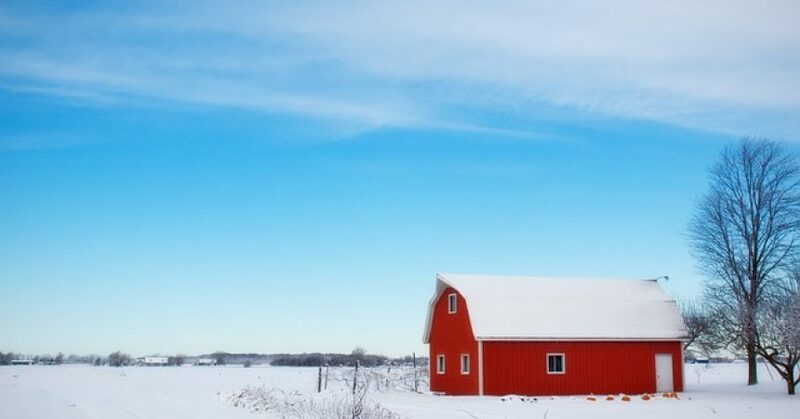 Whether it’s push, ride on, or a garden tractor, these tips will help you store your equipment properly and extend its life. Work outside if possible or wear a mask if you are inside. The basic action here is cleaning your engine and gasoline fumes can be very dangerous. Also, keep your owners’ manual handy. First, remove and dispose of the mower’s spark plug(s). 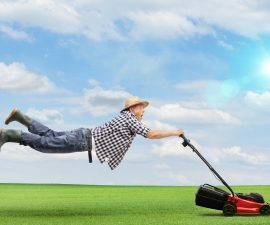 Next clean the mower thoroughly of clippings and debris. Remove the grass bag, spray with water to remove everything inside, and allow it to air dry before replacing. Many people use a pressure washer with great results, high pressure water will scour off any lubricants. Take care not to aim water or dirt into the bearings. This step is essential. Inspect the mower completely, checking the deck, belts, and hangers for wear and damage. During the winter you can replace these worn parts and be completely prepared for the next grass cutting season. Taking the deck off will allow you to remove the blades and, if required, lube a garden tractor. Have the blades sharpened by a professional or DIY. Make sure to wear gloves if you reinstall the blades. Clean the fuel filter and air filter or replace these parts if necessary. Any gasoline left over in the tank should be handled in this manner: add a small amount of stabilizer, start the engine, and let it run until the tank is empty. This prevents the gummy deposits and varnish that can clog the carburetor while the mower is idle. Afterwards, move your lawn mower or tractor to its hibernation location. Next step, replacing your spark plug(s). Place a teaspoon of oil into the spark plug hole and put in the new ones. Crank the engine several times to circulate the oil inside the cylinders. If possible, turn the engine over in your hand until you feel the compression stroke. The valves are now closed and moisture will not get into the engine. Last step, remove the battery and charge it. Store the battery in a warm spot away from heat or flames, such as pilot lights. Cover your equipment and say goodbye until next year. Preparing a push reel lawnmower or electric lawnmower, for winter storage is much simpler. 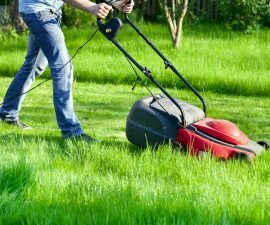 Make sure the blades and the rest of the mower are thoroughly cleaned. If the blades are dull, DIY with a sharpening kit or consult a professional. Lubricate all the areas you are able to reach, then cover and store. Another option, the robotic lawn mower requires minimal maintenance, stores easily anywhere in the house or shed, and is high tech lawn maintenance. The design is similar to the robot vacuums. This appliance will recharge itself as needed, and there are solar powered models available. Robots are ideal for those who want to use a regular mower and then let the robot handle quick trims.